Virtual reality has already emerged as a millions-selling gaming genre, complete with beautiful, compelling, and unique experiences that scale from giant HTC Vive rooms to cramped PlayStation VR stations. When Nintendo barges into a new control paradigm, it usually tops the recent competition with either a hardware innovation, a game-design revelation, or a brilliant combination of the two. 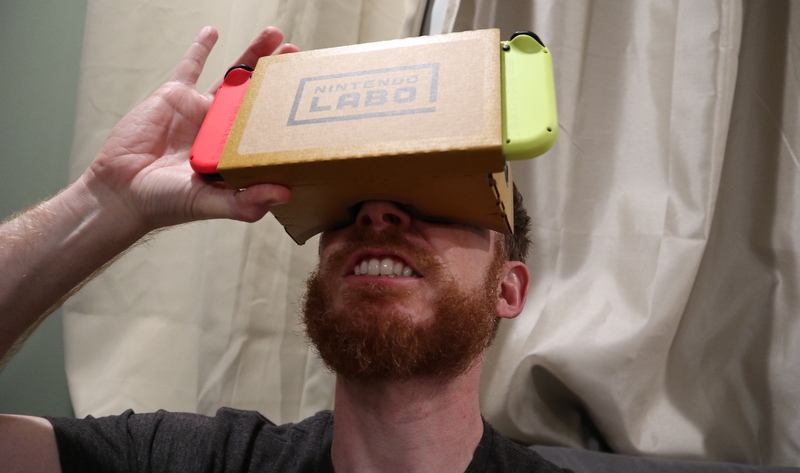 But Nintendo Labo VR, the company’s first serious VR product, is hamstrung by a nagging feeling that its solution to “VR-on-Switch” is the very thing getting in the way of the fun. Its players are constantly urged to get out of VR, whether by lengthy cardboard build times, pint-sized VR experiences, or the sheer strain of having a 720p Switch screen translated by a pair of glass lenses. Is that a stiffy disk in your drive… or something else entirely?